I love taking pictures of P. I especially love capturing little, “boring” things from our everyday routine. 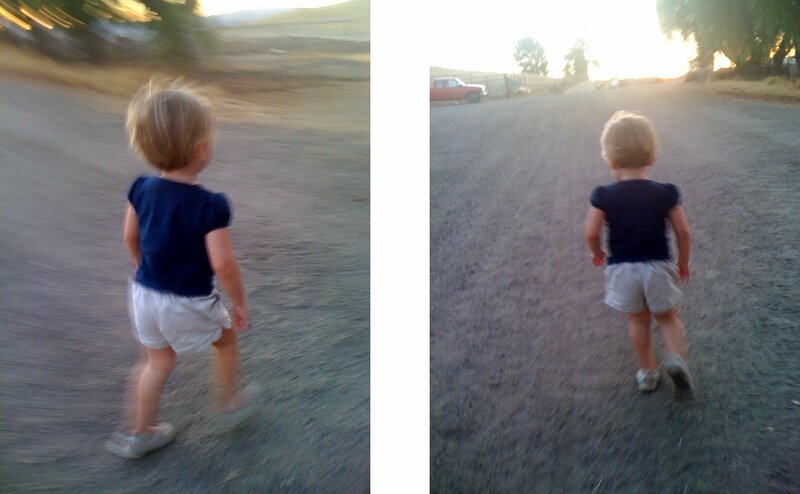 Those are the shots I think I’ll treasure most when she’s older. Part of my obsession comes from not having many pictures of myself as a child. Up until I was 16 I only saw one baby picture of me. Then we went back to Colombia, our homeland, and I got to see who I was from the very begining. I found it fascinating. It was like I was looking at someone else. Not me. P won’t have that problem…I hope. Heaven forbid we lose our drives or backup drives!!! These two are from our walk at the Pierce College farm. Part of our weekly routine and today the light was amazing.